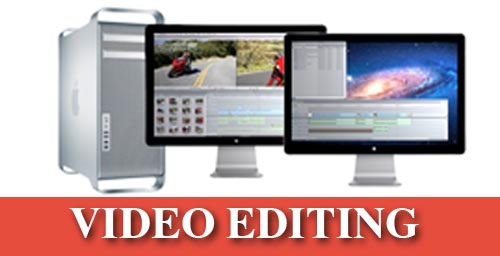 At Editworks Noida we provide ample training on Final Cut Pro, Avid Xpress and Adobe Premiere. The students who opt for advanced course get knowledge of Adobe Photoshop and Adobe After Effects as well. 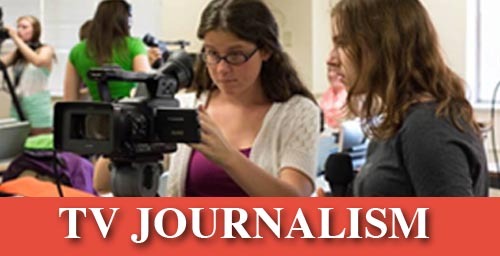 Diploma in News Reading and Anchoring is a short term industry oriented course. The primary focus of the course is to impart conceptual and operational skills in the News Reading and Anchoring. The PG Diploma Course in Television Journalism is a flagship course of Editworks School of Mass Communication. The syllabus is Practical and Industry Oriented. This gives the students a cutting edge. Mass Communication and Media Studies is one of the most exciting and rapidly-evolving areas of study in today's media-driven world. The discipline places a great focus on the hypothetical and social approach towards Communication Sciences, Mass Communication and Communication Studies. Mass Communication also uses concepts and techniques from other disciplines such as sociology, anthropology, psychology, politics, economics, or philosophy. Mass media refers to the applied study of different practices and technology used to facilitate the communication of information for large audiences. Theoretical studies in mass media emphasise topics such as the history of mass media and its social impact, with an in-depth understanding of communication theory and an analytical approach to the development of new media. Career prospects for graduates in media studies and mass media include roles such as Journalist, Media Planner, Producer, Content Writer, Anchor, Radio Jockey, Media Researcher, Social Media Manager, Public Relations Consultant, Copywriter, and others. Editworks School of Mass Communication, which came into existence in 2002, aims to produce efficient professionals who can achieve excellence in the field of media. Through latest technologies, state-of-the-art infrastructure, highly qualified faculty, and curriculum which is in sync with the requirement of the industry, we groom future media professionals who are always in demand in electronic, print and web media. At Editworks, we believe that quality inputs bring the best out of people. Going by this philosophy, we have acquired latest technology in the field of electronic media at our institute in NOIDA. Facilities at the institute consist of non-linear editing systems, a fully functional studio for news reading and anchoring, latest still and video cameras, conference room and a library. Editworks School of Mass Communication offer dual benefit to the students of Mass Communication. At Editworks School of Mass Communication we focus more on teaching practical and specialised skills such as efficient writing, editing techniques, Reporting, Camera Handling, Video Editing, Graphics and the process of production in specific areas of the media. 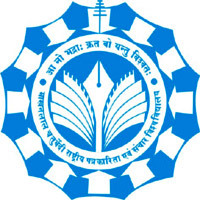 Makhanlal Chaturvedi National University of Journalism and Communication, Bhopal was set up with a view to imparting quality education and training in Mass Media is named after the renowned journalist, poet and freedom fighter Makhanlal Chaturvedi. The University was setup by act no 15 of 1990 of the Legislative Assembly of Madhya Pradesh. The University Grant Commission (U.G.C.) has issued an office memorandum in that respect. The University has become an institution of repute with a number of courses in various disciplines ranging from Journalism, Mass Communication, Public Relations, Advertising, Library and Information Sciences, Photography to highly sophisticated Electronic Media, Radio, Television, Cyber Journalism, Videography, Printing Technology and Information Technology. The University is a member of the Association of Commonwealth Universities and the Association of Indian Universities (AIU). It is not an Open University providing Distance education. It does not provide education through correspondence. It is not a Conventional University having limited territorial jurisdiction. It has jurisdiction throughout the country. Consistent with the recent trend of globalisation and internationalisation of education, the University is imparting education outside the country also. Copyright © 2017 by EDITWORKS. All rights reserved.